2. PAINTMA VARTUL,CHORAS,LAMB CHORAS & COLOUR PURO. 3. NOTEPAD NI SHORTCUT BANAVO. 4. MASIK HAPTO 15,000 BHARVANU RECURRING REMINDER OUTLOOKMA SET KARO. 5. NAMENA FOLDERMA ANIMALNU FOLDER ANE TEXT FILE BANAVI 5 ANIMALS NA NAME LKHO. 6.Sardar v. Patelno fakro shruti fontma type karo.drop cap ane strike through aapo..
2)manpasand vyakti vise English ma 5 senten. 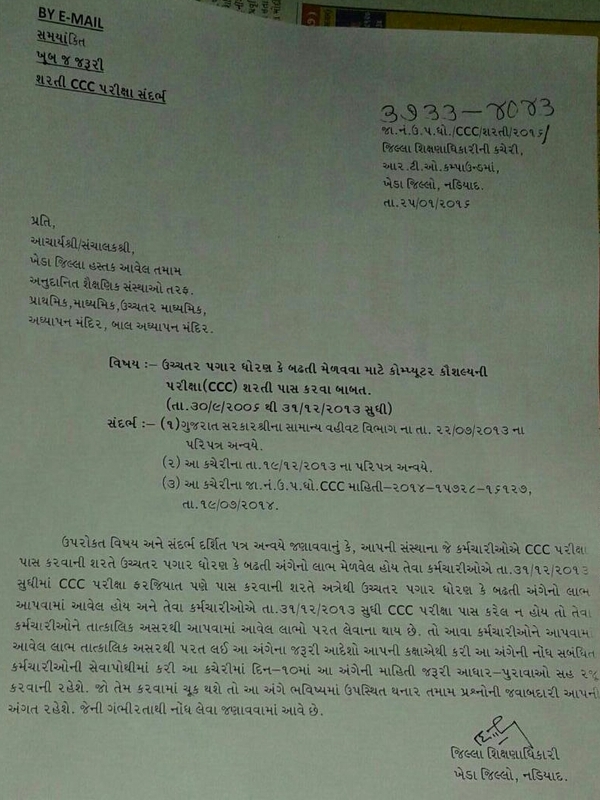 CCC PASS NA HOY TO UCHATAR PAGAR NA LABH PARAT LEVA BABAT NO DEO KHEDA NO GR 25/1/16. 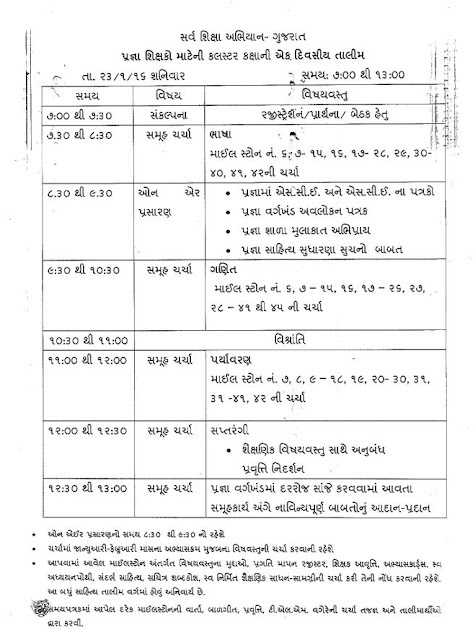 MS UNIVERSITY DECLARE CCC LIST OF CANDIDATES DATE : 27 TO 29 JANUARY 2016 FOR DOWNLOAD. NOTE-2: Please check your Venue and timings properly in the Hall Ticket. 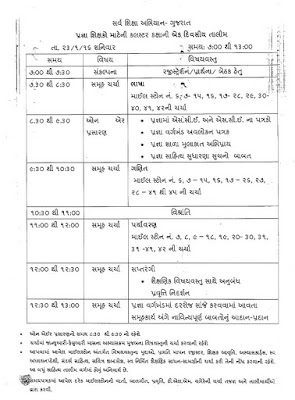 Educational News &Job Updates on Date 10-01-2016. सातमा पगार पंच नु एरियस हप्ता माँ चुकवनि थासे. BREAKING NEWS :- BRP BHARTI MERIT LIST DECLARE. Gujarat Fix Pay Case Next Date 02-02-2016. VIDHYASAHAYAK BHARTI EXCLUSIVE NEWS UPDATES . LATEST FIX PAY CASE DATE NEWS BY ETV NEWS.